Offbeat Holidays Unlimited, Baroda can work with you and your ideas to host a perfect event where you can leave the heavy lifting to us and enjoy the outcome. From logistics to vendor relations and negotiations they cater to all your event coordination needs. 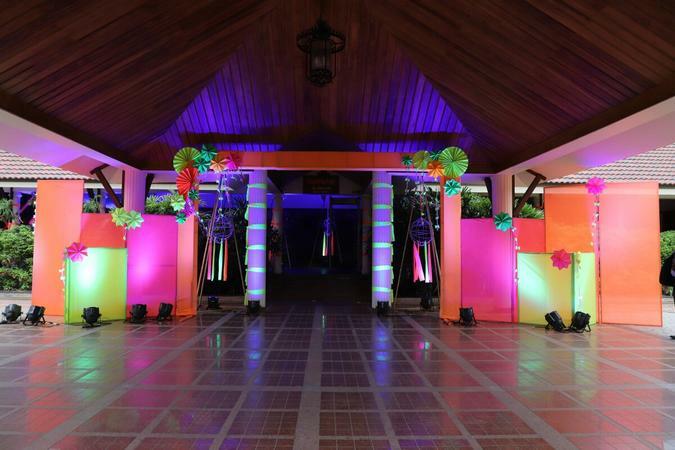 Contact Offbeat Holidays Unlimited, Baroda for your upcoming events to make them outstanding. Offbeat Holidays Unlimited is a wedding planner based out of Alkapuri, Baroda . Offbeat Holidays Unlimited's telephone number is 76-66-77-88-99, Facebook page is Offbeat Holidays Unlimited and address is 606 Dwarkesh Complex, Besides Welcom Hotel, RC Dutt Rd. In terms of pricing Offbeat Holidays Unlimited offers various packages starting at Rs 399999/-. There are 0 albums here at Weddingz -- suggest you have a look. Call weddingz.in to book Offbeat Holidays Unlimited at guaranteed prices and with peace of mind. Transportation charges will have to be paid by client when event is outside Baroda.